Are you familiar with The Ten Commandments? It’s remarkable that right actions toward God and man can be summed up into ten rules or commandments. The word epic* comes to mind when speaking of The Ten Commandments. Everything about them is epic. They were given in an epic way. The Ten Commandments were given at Mt. Sinai immediately after the exodus of the children of Israel from Egypt. Moses was God’s chosen servant/leader to receive The Ten Commandments so Moses is aptly referred to as ‘the law giver’. The very words are epic in their simplicity, yet significance. 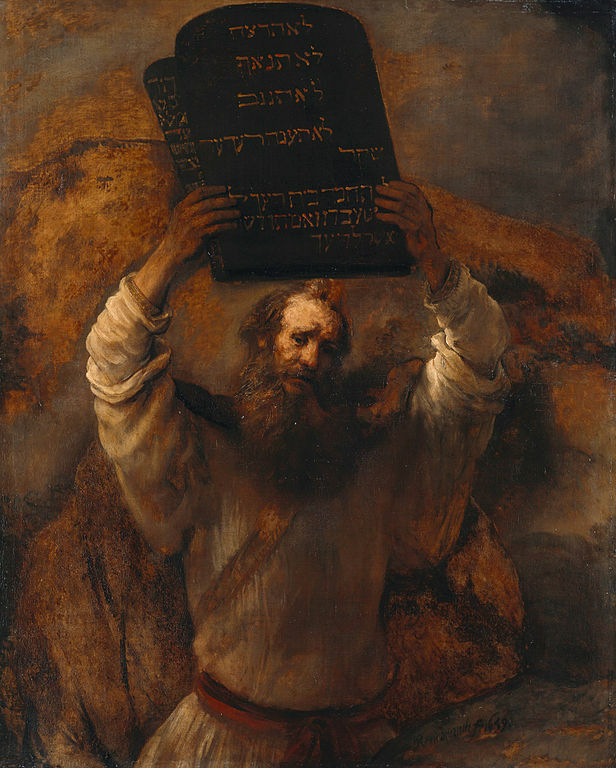 The Ten Commandments were given by God and can be divided into two parts. The first four relate to a right relationship between man and God, while the last six focus on our relationship with our fellowman. Their ability to convict us is epic. While we may have never been arrested for committing a crime or we may have never been sentenced by an earthly court of law, we have all fallen short of God’s standard. Do you know anyone who has perfectly obeyed all of these commandments? For the wages of sin is death BUT the free gift of God is eternal life through Christ Jesus our Lord. If anyone sins, we have one who speaks to God the Father in our defense – Jesus Christ, the Righteous One. He is the atoning sacrifice for our sins, and not only for ours but also for the sins of the whole world. *EPIC is used to describe poems that are lengthy; however, it also means something that is of grand scope. Any task of great magnitude may be called “epic.” Something that is large or impressive. Example: The Grand Canyon is a natural sculpture of grandeur and epic proportions. Read Matthew 5:17-28 about the difference between the “spirit of the law” and the “letter of the law”.